Hello! I am Lisa, a wife, new mama to “Chulengo,” physical therapist, lover of life, and blogger for Move Mama Move. I am a self-proclaimed recovering “Type-A” who is attempting to live each chapter of life to its fullest and learn to go with the flow. Our family just completed a cross-country move, and when I’m not busy juggling my newly expanded family, I can be found traveling, trying new recipes, popping open bottles of wine, reading, and attempting to maintain an organized life. Over the past 15 years, I have moved over 14,000 miles, completed seven cross-country moves and over a dozen local moves and long-distance moves. I have packed my car and moved. I’ve hired packers/loaders and driven a moving truck. I have packed, loaded, and driven a moving truck. I’ve had friends help me move. I have hired full-service movers. I have packed my belongings and hired folks to load and move. You name it – I have done it all. Therefore, I have become a bit of an expert on the moving process. During each move, I realized there were not many resources to help make the process easier. Therefore, I am using Move Mama Move to pass on the wealth of knowledge I have acquired. 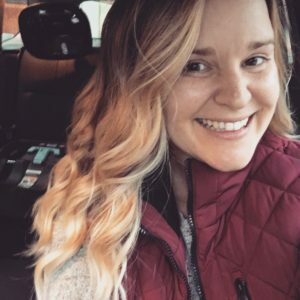 I’ve mastered the moving binder, simplified the packing and unpacking process, tackled the moving process with an infant in tow, know what questions to ask and who to ask, and have a good handle on creating a new tribe in a new city. Moving, whether a couple blocks down or across the country, is something I have skillfully mastered. Move Mama Move discusses life after the move. Most of all, how do you make a new home a comfortable, efficient, and happy place to live? Mama, that has been my name since Chulengo was born, but it became more incredible when Chulengo recently started calling me Mama. Definitely, music to my ears. Sometimes it is a cry for love and sounds like “muuuh-muuuh.” Other times its a call for attention like ‘look what I can do’ sounding like “mah-mah.” Sometimes, I think he is just playing around with his voice, and he makes a sound like “mum” on accident. I wear my new Mama badge with honor! Move Mama Move targets areas of pregnancy and motherhood with a focus on products I love and lessons I have learned. Other than the occasional nap, my life revolves around movement. For my sanity, I am always on the go. As a Doctor of Physical Therapy, I always emphasize the importance of movement to patients. I always say the easiest way to stay young is to keep moving. My patients who are elderly and walk into the clinic looking healthy and moving independently all have one thing in common: they are always on the go, they are always moving. Therefore, Move Mama Move will discuss various health and fitness ideas that I hold near and dear. Furthermore, my journey as I attempt to continue a health-focused lifestyle with new recipes and activities that are enjoyable, rewarding, and beneficial for physical and mental well-being.